We are approaching a crucial phase of our product’s development cycle, when we are starting to introduce our protocol to game developers, allowing them to gain first-hand experience with our development kit, provide feedback and receive help. Today our development team is proud to present you the first public release of the SDK. It’s available on our GitHub. 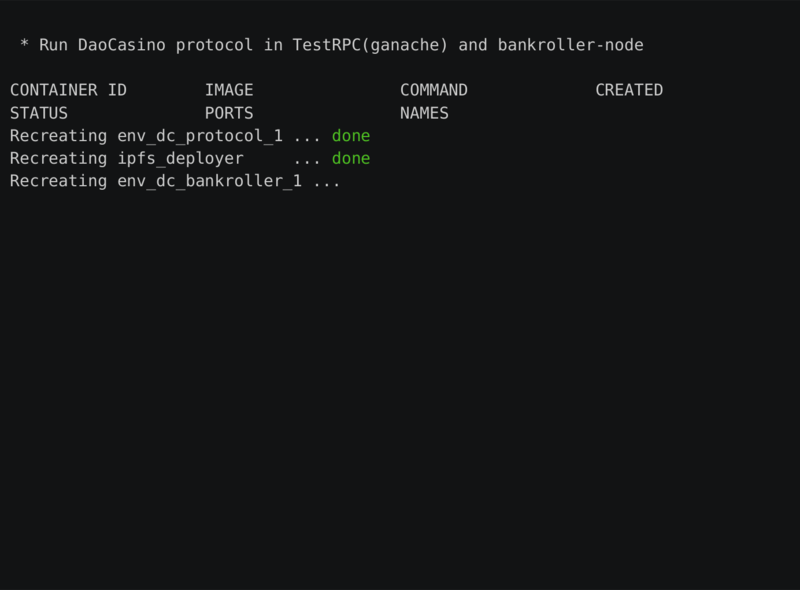 In other words, developers are free to study the sample provided by our team and start working on the development and integration of their decentralized games on DAO.Casino protocol. We are making development on our protocol a streamlined and straightforward process. We established a dedicated chat for developers on Telegram. Join us here and let us know what your experience with our SDK is. Our developers will be more than happy to answer any questions and assist you. Stay tuned for further updates. Shortly we will announce some exciting details for developers and our community!